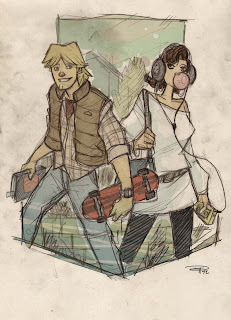 Re-Imagined Star Wars characters as high school students from the 80s. 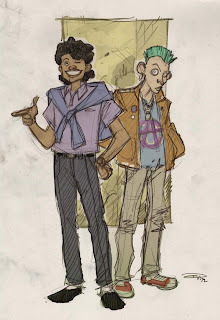 Wondering how the Star Wars characters were able to materialize into the 80's? Well it might have something to do with Luke dressed as Marty Mcfly. Not only can he time travel, but apparently he can travel to other galaxies. 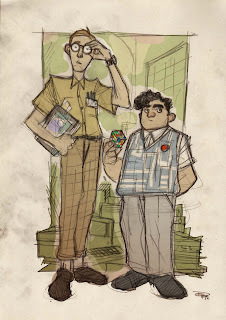 R2-D2 and C3PO are perfectly cast as high school nerds. 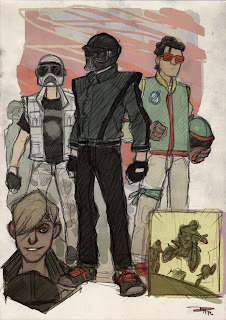 Darth Vader, Boba Fett and the Stormtroopers could be the high school villains in this movie. 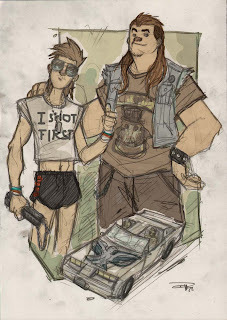 Han Solo and Chewbacca make a great team with the Millennium Falcon Trans Am. 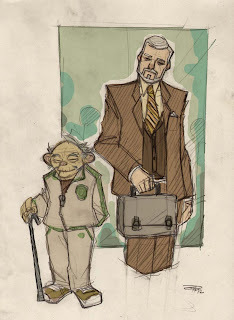 Students at this high school are lucky to have Yoda and Obi Wan Kenobi for teachers. Written by: Katie Shew at 2:01 p.m.